Cataracts are an eye condition characterized by cloudy lens, which makes things around you appear hazy, blurry, or less colorful. This happens because instead of light rays entering the eyes being focused onto the retina, they are scattered throughout the eye. There are several risk factors for cataracts but aging is the most common of them, with the eye normally changing after age 40. At this point, lens proteins start breaking down, causing the lens to cloud, but vision problems may not manifest until years later. The only way to remove cataracts once they develop is through surgery. During the procedure, an eye surgeon will remove the cloudy lens and replace it with artificial ones called intraocular lens (IOL). Surgery, however, is not a guarantee that vision problems will not arise down the line. If vision becomes hazy years after cataract surgery, it is typically caused by the capsule, the part of the eye responsible for holding the IOL in place, growing cloudy. Vision can be restored through a laser procedure called capsulotomy. At Northern Virginia Doctors of Optometry, we examine, diagnose and help patients manage cataracts. If a patient has cataracts and needs surgery, we also help with surgery referrals. Cataracts affect more than 24.4 million Americans aged 40 years old and above but the condition is highly treatable. Talk to one of our eye care specialists and we’ll help you figure out the best way to address your vision concerns. 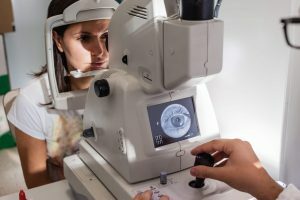 To learn more about cataracts management in Falls Church, Reston, Alexandria or Arlington, give us a call at one of our locations or fill out our online appointment request form.